government office and even students bedroom. In to–day world, it is important to know what networks are and how they can help you. Networks enhance the computer’s ability to exchange, share, preserve and protect information. You will also see how networks can make it easier to share expensive hardware and software. Despite the incompatibilities among network technologies researches have device a scheme that provides universal service among heterogeneous networks call internet or internetwork. Internet is the world’s largest computer network. 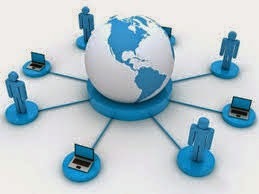 Internet is a window to global information through interconnecting between several computers of different types all over the globe. The internet use both hardware and software. Additional hardware systems are used to interconnect a set of physical networks .Software on the attached computers then provide universal service. The resulting system of connected physical networks is what we call as internet. 21st century world is the world of advertisement and Television, Radio and Newspapers etc. are the means of advertisement which is much expensive. In this sense internet is the best and most inexpensive means of advertisement. For thus the organization or the institution will set up a home page and the world will come to know about the products, price, service provided and other activities etc. through internet. The other facilities available through internet include publishing, extension, teaching etc. An intranet uses the same tool and techniques as the global internet to provide information and services, but within a company or organization. An intranet can work equally well within the confines of a small company with a few employees scattered in different location or within a large, global corporation. If you have an intranet at your school or office, you view documents that look just like the ones on the web. An intranet can be up and running without any connection to the outside world. In its simplest form, an extranet is an expanded internet that can include customers, client, supplies and almost anyone etc .who has contact with your company (who relate to your business) access to your internet using intranet technology. Extranet help business; improved customer service, Increases revenue and save time, money and resources. Building an extranet is hard work-even harder than building an intranet. Many issues like compatibility, access and security, need to be worked out before the externals users are provided access. An extranet requires more planning than intranet and cost more, too. Many free net exist around the world but each one is tailored to meet the need of the local community. No two free nets are identical. Free nets usually provide free email accounts to their users. The mail systems of most free net is not very sophisticated and only allow short text messages .you cannot attach a document or include graphics images in a free net mail message. It can print on continuous stationary. Dot matrix priters can create carbon copies when carbonated paper is used. The print quality is very poor. Very slow going machine-it ranges from 40 character per second (cps) to about 1000 cps. The machine is very noisy-can not be used near a telephone line. It cannot produce color copies. 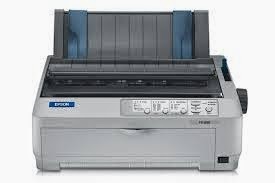 Non impact printers are those printers,which prints the characters by image formation similar to Xerox. In this type the print head never touches the paper physically. The outputs of these printers are of better quality compare to the impact printers. 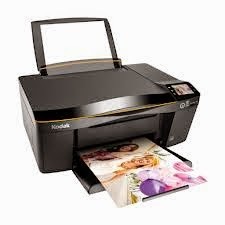 Most over it we compare the speed bettween impact and non-impact printers the non-impact printers are faster than the impact printers.These are several types of non-impact printers. It is a high resolution machine which range from 300 to 600 dpi (dots per inch). They are comparatively small and lighter in weight. It is slow as compared to laser printer. The cartridges cost more per pages than laser printer cartridge. Cartridges need to be replaced more frequently than the laser printer. Color printing can take 25-30 seconds each page.